One of the great things about open adoption is you can tailor-make an adoption plan to fit each birth and adoptive family’s situation. This is especially helpful when a birthmother has children she is currently parenting at the time of placement or has plans for future children and wants those children and her placed child(ren) to know one another. One of the big reasons why I personally chose open adoption for my unborn baby, was that open adoption would allow the son I already had to know and have a relationship with the son I was making an adoption plan for. It was very important to me that both of my boys know one another. While they wouldn’t have a typical brotherly relationship of growing up in the same household, they would still at least know they are brothers and hopefully have some type of brotherly relationship and friendship. 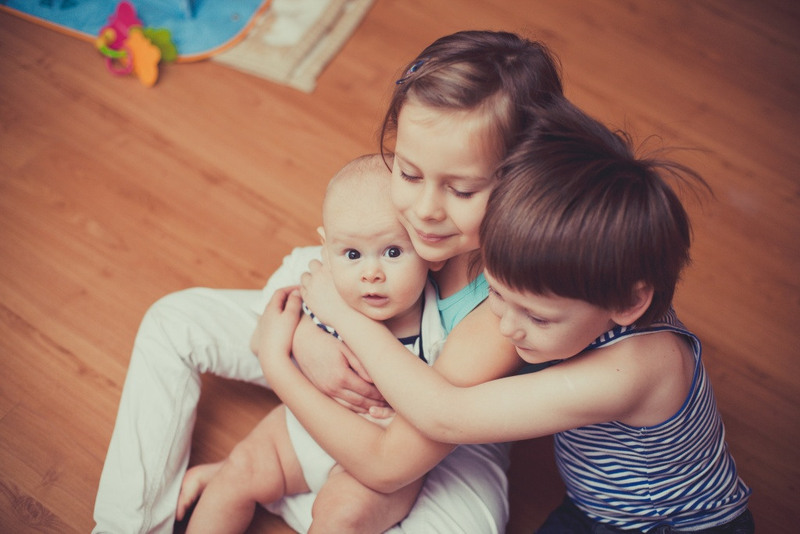 You may be wondering how you can keep the sibling bond established, and, in a child’s mind, when distance and busy lives may prevent you from seeing each other on a regular basis. I have some suggestions below for you. While these ideas are presented from the birthmother perspective, they would also work in the opposite scenario; for an adoptive Mom to do with her (adopted) child for his or her birth siblings. Also, I’m assuming with my suggestions and terminology that the children involved know they are technically siblings; being upfront about adoption from the beginning is usually best and less confusing in the long run. But if that is not the case, you will probably need to tweak these ideas a little bit to work for your situation. •	Try to make a regular visit date, even if it is only once or twice a year. Give the siblings some space and time to interact on their own at these visits. In between visits, look at photos from past visits, talk about what fun your child had with their sibling, and count down until the next visit. •	Depending on the age of the children involved, try letting them Skype or Facetime in between visits. If they are old enough, give them some space and freedom to have their own conversations and their own relationship. •	Keep your child’s sibling in their mind and heart by bringing them up periodically. Also, let your child bring up and talk about their sibling as they see fit. Keeping the lines of communication open both ways and allowing your child to talk about their sibling as they miss them is healthy. •	Frame a picture of your child with his or her sibling and place it in their room so they see it every day. This keeps their sibling in their mind and heart. •	Point out things you think your child does or ways he or she looks like their sibling. Pointing out similar personality traits or ways they physically resemble one another helps solidify that, although they are not growing up in the same home together, there is indeed a biological bond. •	Help your child remember his or her sibling at birthdays and big holidays such as Christmas. Let your child pick out a gift for their sibling and help them wrap and mail it. •	If you are local with your placed child’s adoptive family and comfortable enough, consider inviting your child’s sibling to his or her birthday party. If you feel this might be too awkward, then consider having a small celebration or just play time for your child and his or her sibling. •	If in any of your discussions about your child’s sibling, should he or she have questions about why they don’t live with you or anything of that nature, do your best to answer those questions openly and age appropriately. It’s not the norm to have siblings separated by adoption, but it is possible and worth the effort to keep them connected.